How to Manage your Grant after Winning it! Whoopee! Your grant application has been successful! The project's funded and you can sit back and relax, right? Well, not quite. Now the real work begins. You now have to learn how to manage, review and acquit your grant (not to mention run the project). This guide is designed to take you beyond the adrenalin of finding out that you've won the grant and help walk you through the process that you'll need to undertake from here on in. 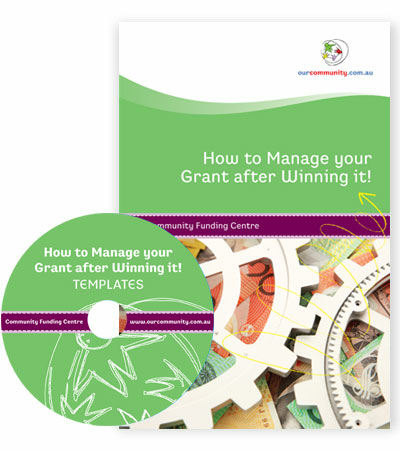 The guide includes a bonus CD including all of the templates you will need to successfully manage your grant.